JIn 2007 New Terra Farm won the Premier's Award for our small farm marketing and management model. Since then, it's been our mission to offer practical farm training to novice market gardeners, 'wanna-be' farmer and new farmers who are looking to expand or improve their business. Over the years, hundreds of people have used our books and courses to help put their farm enterprises on a practical business footing. We're also proud to say we have helped several people in our local area start their own successful organic market garden using our principles and techniques. 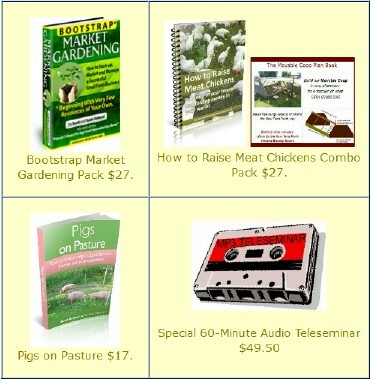 On this page we've collected all the books and training programs offered by New Terra Farm. Use the links below to go to the individual pages for the items shown. 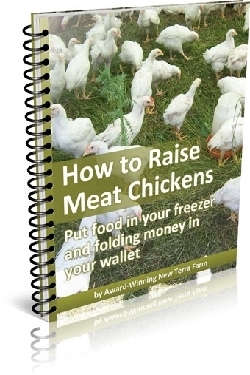 How to Raise Meat Chickens was the next book we wrote, to show new farmers a simple and inexpensive way to raise organic pastured poultry. 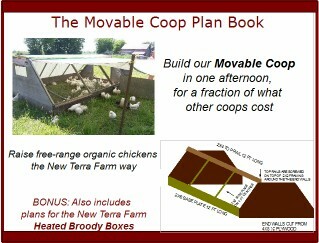 This pack also includes plan for the New Terra Farm Movable Coop (we've built a few of these, they are cheap and simple to make). How to Raise Meat Chickens is also available as part of the Complete Start Farming Pack shown below. If you think you might want more than one New Terra Farm practical farming book, the Start Farming Pack can save you some money. The Complete Start Farming Pack. Get all the New Terra Farm practical farming books, plus a bunch of bonuses, and save over 50% over the cost of individual books. If you want more than one New Terra Farm book, this is the way to go. 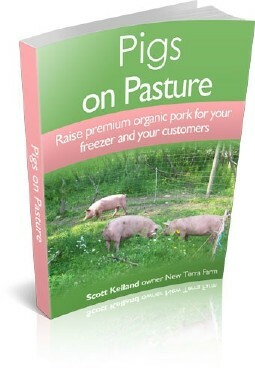 Get ALL the New Terra Farm practical training books for $17. New for 2019! 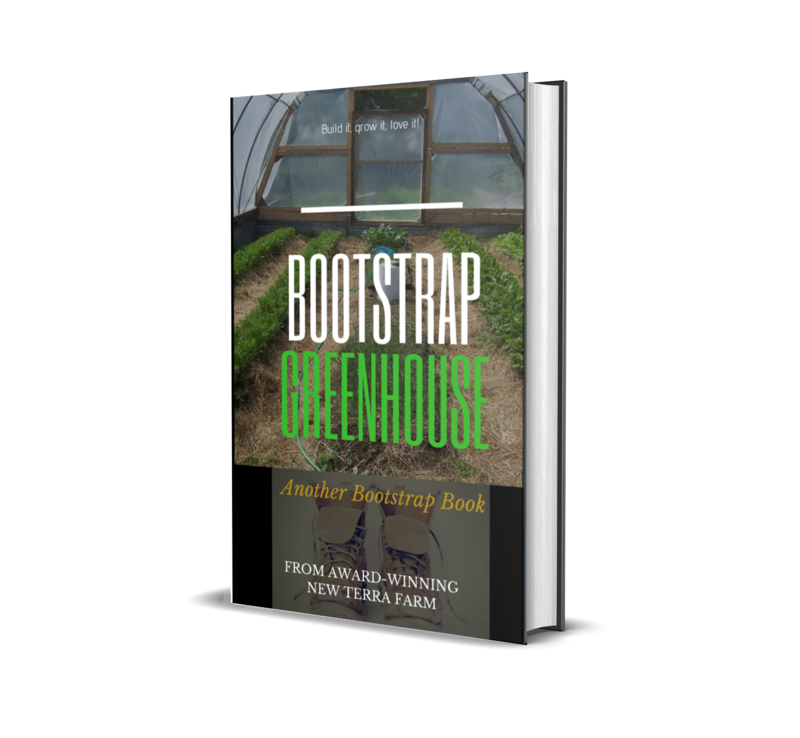 Build your own Bootstrap Greenhouse. Get the details on building the three styles of greenhouses we constructed and use at New Terra Farm. Three greenhouse designs for nine bucks! NEW. 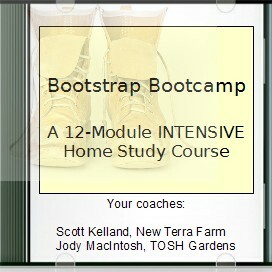 New Terra Farm teamed up with TOSH Gardens to offer the Bootstrap Bootcamp Coaching Program. 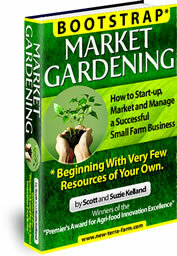 16 soon-to-be and novice farmers paid $297 to get this valuable training. The live Bootcamp Event has wrapped up, but you can still download the material for home study for just $47, and save $250! Check out the course details at the link below. Important Note: New Terra Farm can ONLY offer these deals because we deliver our practical farming books to you electronically, via instant secure download. No physical book will be shipped.